Have toi ever noticed any similarities? 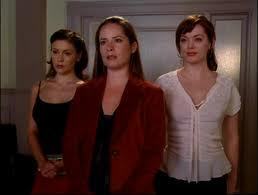 Who did Piper say handpicked the Jenkins sisters to take out The Charmed Ones? Female Character Comparisons - Make Your Choice! Male Comparisons - Make Your Pick!